Many organizations are only sparsely using Windows Server Core in their environments. Over the years since the release of Server Core in Windows Server 2008, many have cited various reasons why they have not been fully using Server Core, and those reasons have come down to lack of management tools and app compatibility. Windows Server 2019 brings about exciting new features that stand to help the lack of management tools as well as app compatibility. How can organizations improve the app compatibility found in Windows Server 2019 Server Core installations and provides the features and compatibility that legacy applications require? In this post, we will take a look at Windows Server 2019 Server Core App Compatibility Feature on Demand FoD, what it is, and how it is installed in Windows Server 2019 Server Core. 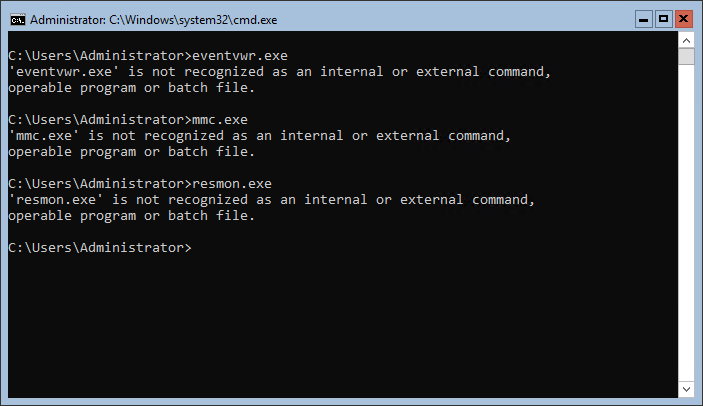 Increasing the compatibility of Server Core when using applications that were written for GUI versions of Windows that need components that are not found in the vanilla installation of Server Core. This can greatly assist organizations with installing server applications that may not be feasible to rewrite simply for using with Server Core installations. So, the Features on Demand feature extends the default installation of Windows Server Core to include either components for applications or troubleshooting processes needed for locally troubleshooting on a Server Core server itself. Let’s now take a look at how the compatibility Features on Demand components are actually installed inside a Server Core installation. Now, for the walk through of installing the actual Compatibility Feature on Demand FoD package. 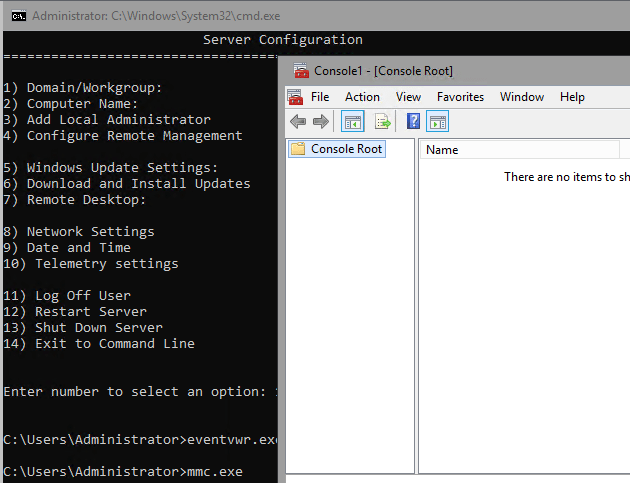 For my test configuration, I am running a Windows Server 2019 Server Core instance inside of a vSphere 6.7 virtual machine. Since the download is an ISO, I have simply copied the ISO to a datastore and mounted the ISO to the optical drive in the VMware virtual machine. Alternatively, you can copy the ISO file to local Server Core storage, mount the image file and then run the installation. You will see the progress bar progress towards the finish of 100% and then you will be prompted for a reboot of the server. After installing the Server Core App Compatibility Features on Demand FoD package, you will note the login box header will now be blue. After installation, let’s check and see whether we have new tools available. And we do! 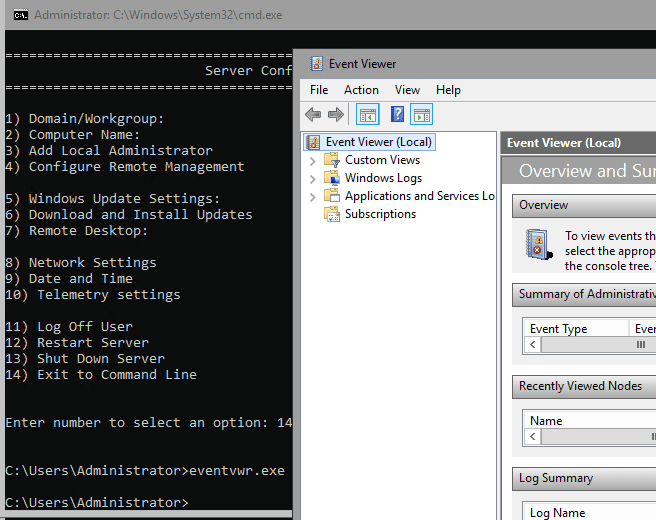 Below, we can now launch event viewer. As you can see above, launching these tools before installing the Server Core App Compatibility Features on Demand FoD package, failed. However, after installation, the tools are now readily available for troubleshooting locally on the Server Core installation. Microsoft has done a great job of providing new tools, including the Windows Admin Center and the Server Core App Compatibility Features on Demand FoD package, which will make adoption of the Server Core variant of Windows Server 2019 much easier. 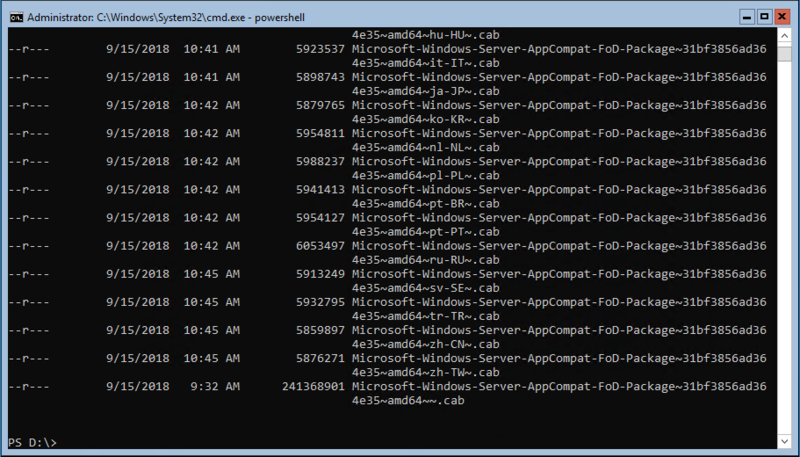 The Windows Server 2019 Server Core App Compatibility Feature on Demand FoD is a free download and is easily installed as shown in the post. For providing compatibility with legacy or traditional applications that require components that are found in the Desktop version of the Windows Server OS, the FoD package provides that compatibility while allowing the Server Core OS to remain a minimal installation. 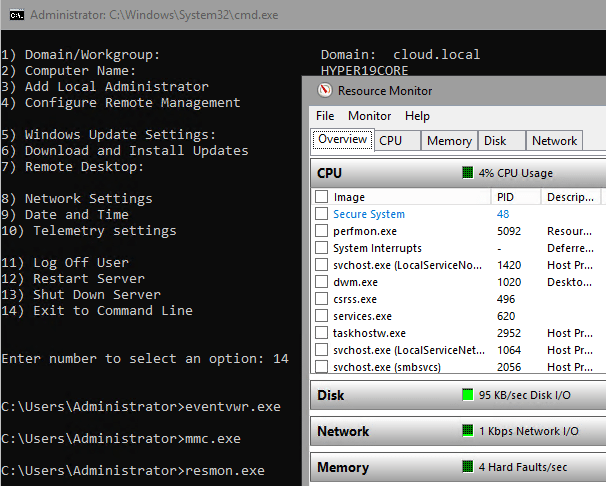 Additionally, it allows having all of the normal troubleshooting tools locally installed on a Server Core installation. If you have been hesitant to adopt Server Core or have had application compatibility issues in testing previously, try out the FoD installation as it may very well solve all your issues with both compatibility and availability of local troubleshooting tools.